Add Value and ATTRACTION POWER! 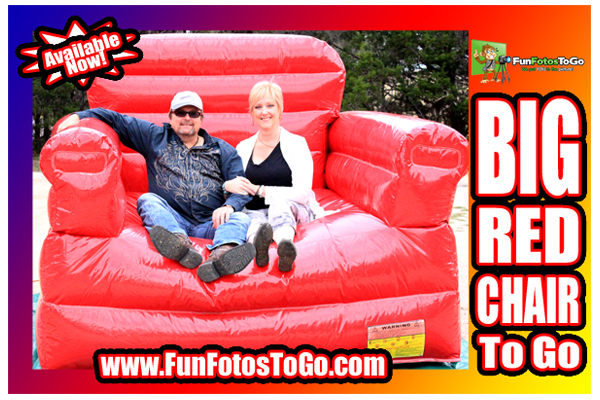 Inflatable Novelty Pics Bring Added Fun! 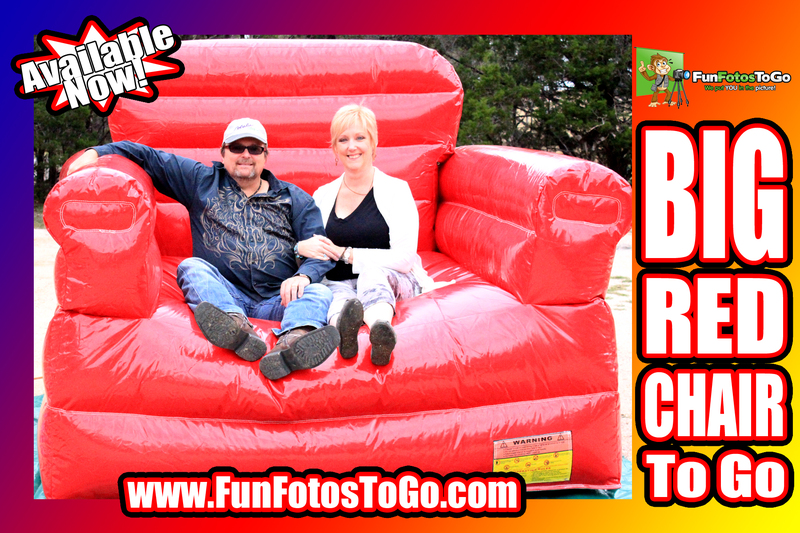 This giant 8' Inflatable chair can hold up to 6 fully grown adults at one time - making them look tiny. 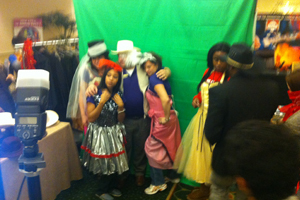 It's great fun, great impact and everyone is going to want to get their picture taken on the "BIG RED CHAIR". Photos are printed for everyone in the picture and guest are also encouraged to take pictures with their own cameras to share on social media while the event is going on - giving wider coverage to your event. Pair the Big Red Chair with Mini Golf To Go and/or Game Shows To Go's "Do You Remember Being a 5th Grader" for a full day of being a kid again! 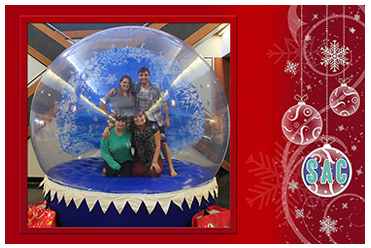 Guests get INSIDE our GIANT INFLATABLE globe to take pictures (up to a dozen people at a time - more can stand around it)! 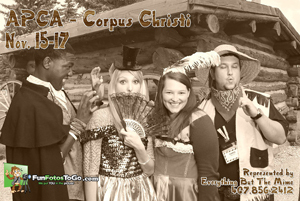 We then print the photo with a frame around it that has your event info on it and give one to each person in the picture. 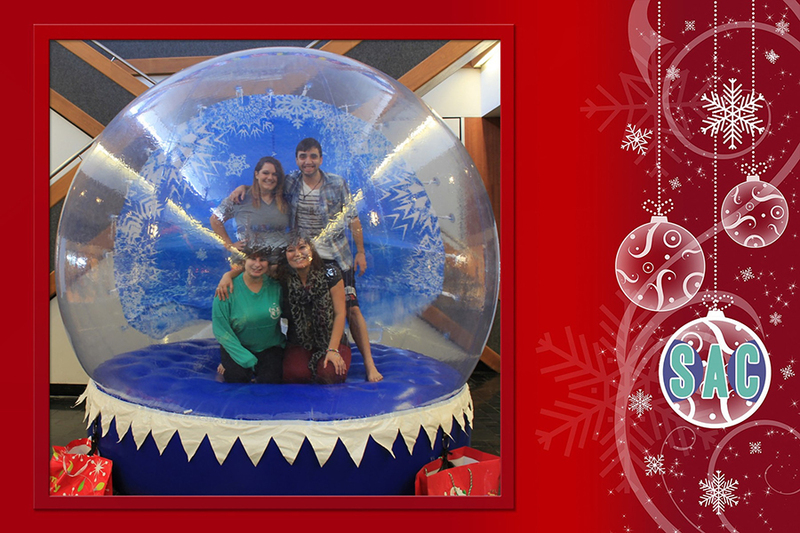 If you want to get really "meta" we can put the picture into an actual snow globe! Inflatables make your event highly visible and add a layer of fun! When using inflatables your event is instantly more visible - creating BUZZ on the street about what's going on. Your guests are engaged longer, smile more and become little kids again (if they're not already!) as they climb into a human snow globe or onto our Giant Red Chair!. (above) After the picture is processed.